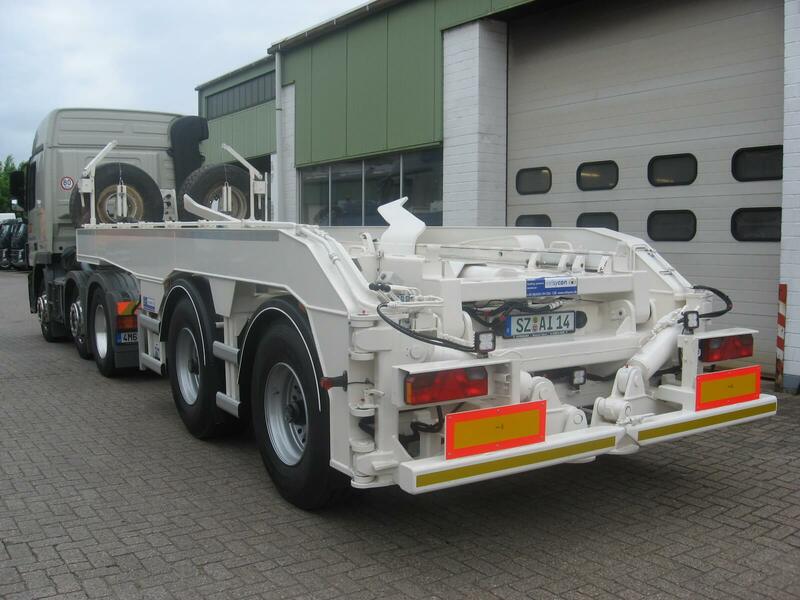 The silo placer SL is assembled to a semi trailer chassis and designed for loads up to 25 t. In conjunction with a tractor you reach a gross vehicle weight (GVW) of 40 t. The tractor has to be provided with hydraulic pump, hydraulic tank and all necessary connectors to operate the semi trailer silo placer SL. 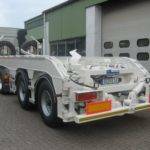 The material used for the semi trailer is a high-tensile steel which guarantees a durable design. 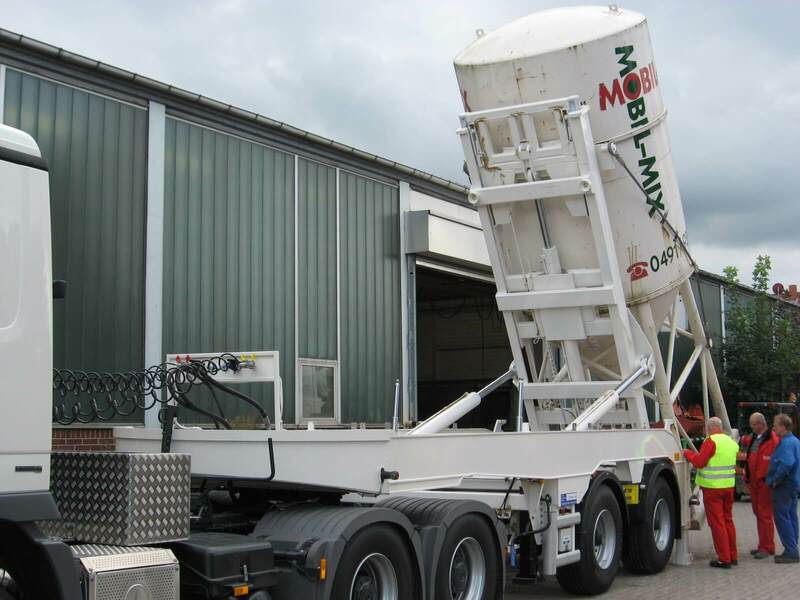 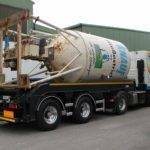 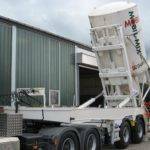 The easy handling of the silo placer SL makes the semi trailer perfect for mobile silos with high loads. 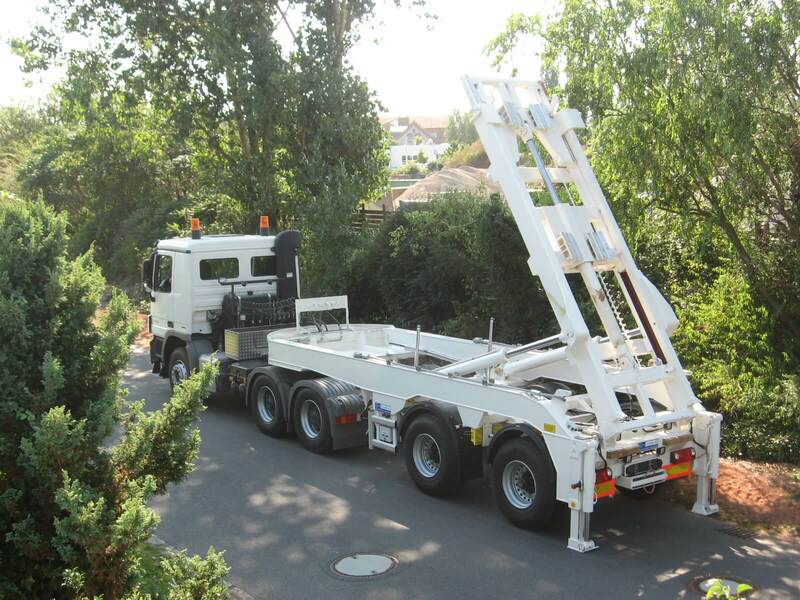 Not only mobile silos according the DIN 30734 could be handled by the SL. 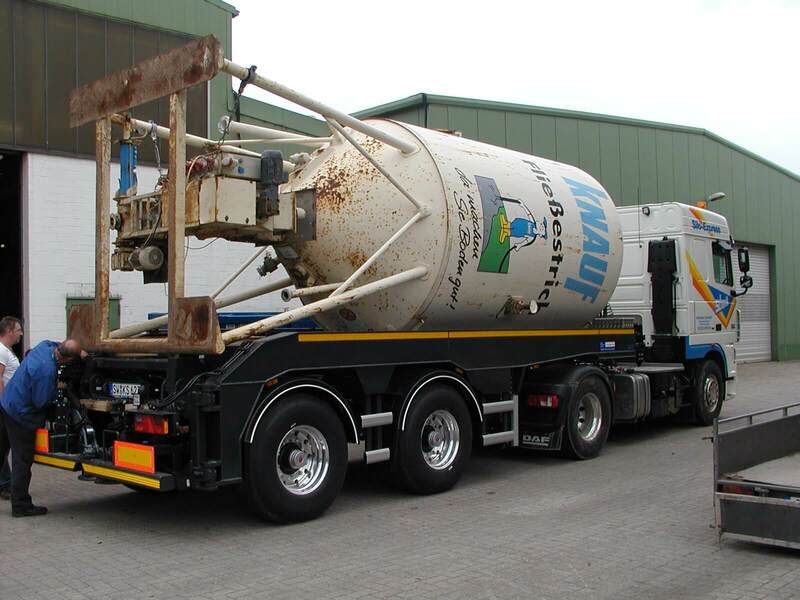 It is possible to fit the device with additional equipment to use it also for 2-pocket mobile silos.